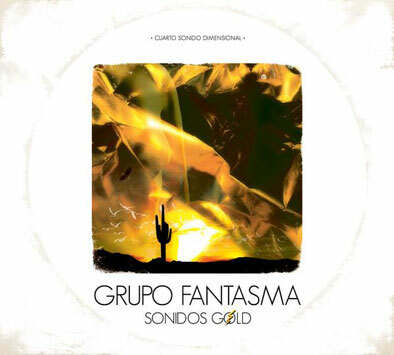 Praised as "one of the sickest live bands ever" by Philadelphia Weekly, Grupo Fantasma infuses traditional Latin styles with a modern twist on their new album, 'Sonidos Gold,' set for release June 17th on Aire Sol Records/High Wire Music. From the epic and inspiring entrance of "El Sabio Soy Yo" to the dreamy and delicate closure of "Perso Fra i Mesquites," Grupo Fantasma's third studio album provides a cohesive collection of genre-defying songs. "It's the definitive Grupo Fantasma album, the one we've wanted to make since the beginning," declares Adrian Quesada, one of the band's guitarists, co-founders and head producer. "The sound is organic, live, while sonically it's big and roomy with psychedelic and cinematic undertones." Guest performances on the album include legendary saxophonist Maceo Parker on "Gimme Some," and Fania All-Stars' pianist and arranger Larry Harlow alongside trombonist Greg Boyer (Prince, Parliament Funkadelic) on "Rumba y Guaganco." Formed in 2000, Grupo Fantasma is an 11-piece orchestra from Austin, Texas, who tour exhaustively and have garnered high esteem with fans and critics nationwide for their musicianship, stage presence and unique sound. Austin Chronicle music critic Jim Caligiuri clamors: "The only other band I've seen get that kind of audience reaction was the Ramones…This group of enthusiastic youngsters has grown into a monstrous and masterful ensemble." So diverse are the musical renderings of Grupo Fantasma that their résumé features an appearance on PBS' "Austin City Limits" in addition to gigs backing both indie-rockers Spoon and pop icon Prince. The band's relationship with Prince began with a two-month residency at his Las Vegas nightclub 3121 (guest appearances included Marc Anthony, Mary J. Blige and will.i.am) and evolved into a series of backing roles at events such as the CBS Superbowl Bash in South Beach and the ALMA Awards. Upcoming performances scheduled for Grupo Fantasma include the New Orleans Jazz Fest, Bonaroo and Montreal Jazz Fest, amongst many other shows nationwide.